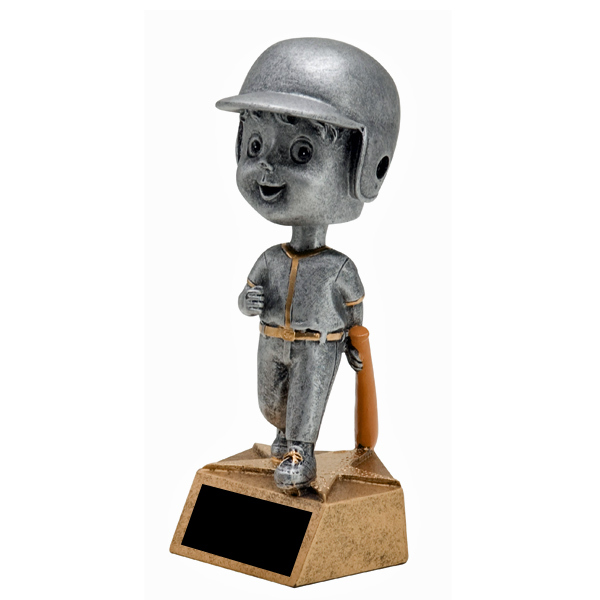 Adorable 6" pewter and gold resin bobblehead trophies are a fun way to recognize an all-star player, coach, team mom, volunteer or super fan. Bright gold wreath figures come with a woodgrain and black polymer base. 5.5" tall.